TICKETS ARE CONTINUOSLY AVAILABLE IN OUR SHOP IN BUDAPEST. Please draw attention, that S.U.N. membership tickets must be paid in Euro (€). We are sorry for the inconvenience. Eternal membership for the S.U.N Gathering 2015. Come and join us for a sunlight celebration in the beautiful green valley of the Cserhát mountains in Hungary. The progam is featuring some of the best artists from the Goa scene with many workshops, visual candy, organic foods and a Nature loving atmosphere. 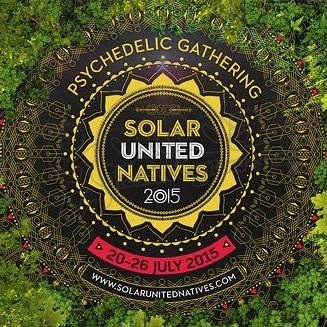 It is a limited number private gathering, that is free for the Solar United Natives citizens.